Come for the drinks, stay for the views. Maldives bars at Veligandu Island Resort & Spa, serve up more than delicious refreshments. Unwind with a luscious cocktail or a light snack in the casual, yet lively beach chic atmosphere of our bars. 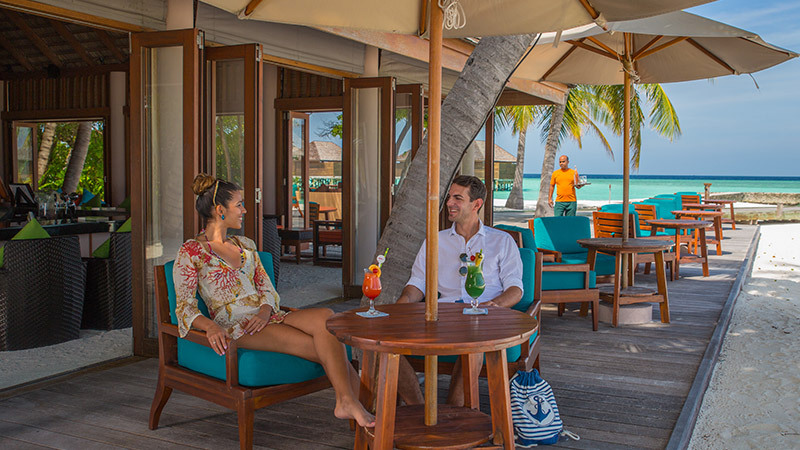 Bask in mesmerising views over the lagoon from the al fresco decks or the comfort of the indoor lounge, as you enjoy your Maldives cocktails. Sip your favourite drink as you soak in the lovely views at our stylish main bar that is set on the beach. Overlooking the turquoise lagoon, Athiri Bar is located on the beach at the northern end of the Island.